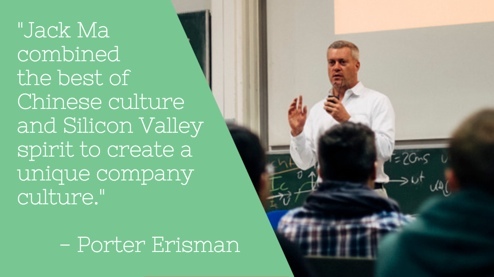 In the next few minutes you’ll learn the mindset of a great teacher wanting to get the best out of his people – while growing a Chinese Silicon Valley-esque global trade company – which now shifts more money than Amazon AND eBay combined. D a m n.
And Jack Ma might be the founder of largest company you don’t know about, Alibaba. The birth of Alibaba’s company culture, arguably, is the main reason people performed so well… blending the best of the East and West. Alibaba: a Chinese e-commerce group with 27,000 employees, started by a sixth form teacher out of his apartment in 1999, with a market cap of 215 billion and the worlds largest IPO to date. 1. What is the purpose of Alibaba? What is the focus for Alibaba’s employees? 4. If you have to pick one: Hire all-stars or a team that works well together? What is the point of Alibaba? Purpose? And to achieve this, Alibaba’s customers need to win before Alibaba’s profits. When you look at Alibaba’s competitors (such as eBay), every one of them “should have beat Alibaba.” Except their competitors were following Wall Street’s expectations… right off a cliff. In 2000, all the Wall Street analysts were saying the end goal was to build an end-to-end transaction system… That you could order 20,000 tennis rackets online at the click of a button from a seller in China. But Alibaba realised that that’s not what their customer wanted. So they pushed back against these analysts and focused on the customer. For a look at Alibaba’s official stance check out their Culture & Values page. Alibaba knew eBay’s investors didn’t have the patience we had to prevail in China. So they took a number of steps to put pressure on eBay to make the Wall Street investors think that they were mad men willing to never charge money for the website – and that allowed them to survive. The main KPI for the management team was to create a certain amount of jobs for the TaoBao users. There are very Chinese things about it too. On Porter’s first company outing, their first retreat felt like a family affair. Chinese management style is more group oriented. It’s more focused [compared to the West] on including people. What’s better, hire all stars or a team that works well together? When Porter joined he came in with this layer of managers that was western style perfectionist… but Jack Ma would tease him that there was a reputation in the company that “the western managers would do a lot of analysis but take less action while the Chinese team was more about action and results than analysis.” In Chinese there’s a saying, Actions speak louder than words. 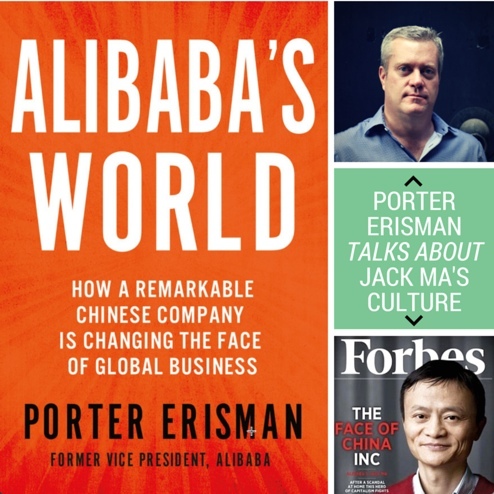 When Porter was at Alibaba, his title changed 8 times in 8 years. After every year management would rotate positions depending on what the team’s need was. Almost like a basketball team uses substitutes depending on what mode of attack the team is in. For example: One of the cofounders was placed in a sales role in Shanghai – “He was probably the worst sales person in the office. Even I thought that this might be the end of the road for this guy.” Well Jack Ma saw what he was good at and put him in charge of the Chinese language website. And he rose to the top and became employee of the year. It’s hard when you go down one route and haven’t succeeded. Most companies spit these employees out. But when a startup is growing quickly you can’t afford to lose high potential people just because they were in the wrong role for a short time. One of Alibaba’s core values that everyone was evaluated on was “embrace change”. Something western startups can learn from this: management can be done more in a consensus basis rather than the western way.